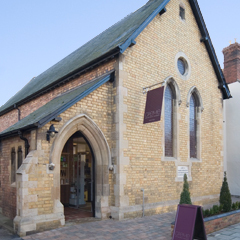 Offering expertise in both hair and beauty, Creme Hair & Beauty Treatments is located within a unique and spectacular building of an old church in Oakham Rutland and is in easy reach of Leicestershire and Lincolnshire. The business was started in 1996 with the first salon located in the Maltings across the road from our current location. Our luxurious and exquisite Salon offers a relaxing time out from everyday life allowing you to enjoy our wonderful range of treatments using outstanding products including Redken, Kerastase, Espa and Jessica.